Update for MC 1.13.1 is in progress! Don't use the current version for MC 1.13.1, because not everything is working! 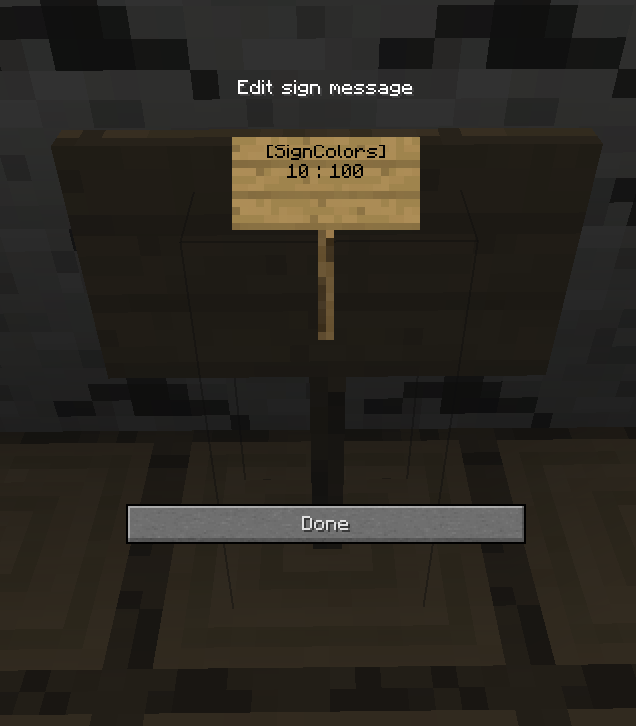 SignColors allows all players on the server or people with permissions to add colored text to signs. Simply use the '&' character (you can change this in the config) followed by a hexidecimal digit (0-f) to give the rest of the line a color. Take your own color symbol instead of "&"
Add a "/sc migrate" command, to migrate from MySQL to SQLite and vise versa. (0, 1, 2 ,3, 4, 5, 6, 7, 8, 9, a, b, c, d, e, f, k, l, m, n, o, r) in front of your sign message. Of course you can write more than one color in one line. Replace <Amount> and <Price> with your values. If you leave them out, the default values from config will be used. The rest is created automatically. /sc - Shows information about SignColors. /sc help - Shows a list of commands. /sc reload - Reloads the config.yml. 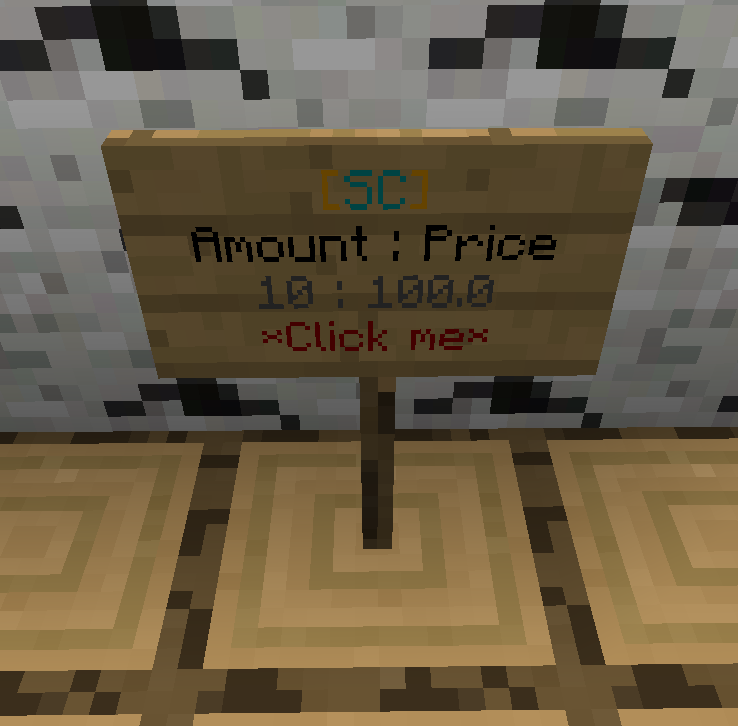 /sc givesign [player] [amount] - Give a player colored signs. /sc colorcodes or /sc cc - Shows you a color/format codes list. /sc upgrade - Upgrades the old database format from version 0.7.1 and earlier to the new database format of version 1.0.0 and later. signcolors. * - Access to all features. signcolors.colors - Allows you to write all colors on signs. signcolors.sign.create - Allows you to create a [SignColors] sign. signcolors.sign.use - Allows you to use a [SignColors] sign. signcolors.info - Allows you to see the SignColors info. signcolors.help - Allows you to see the /sc help page. signcolors.reload - Allows you to reload the config.yml. signcolors.updatemsg - Shows you the update message, if an update is available. signcolors.craftsign.bypass - Allows you to write colors on a normal sign, even if signcrafting is true. signcolors.listcodes - Allows you to see the color/format codes list. signcolors.givesign - Allows you to use the /sc givesign command. signcolors.blockedfirstlines.bypass - Allows you to bypass the blocked first lines. signcolors.upgrade - Allows you to execute the /sc upgrade command. create an issue on GitHub. This Plugin is licensed under GPLv3. Roy7885, AnhCraft, 5899 and 3 others like this.